Spirited colorblocking. Made from a flat tricot micropique for smooth, snag-resistant wear. Plus, Sport-Wick technology ensures moisture-wicking performance. 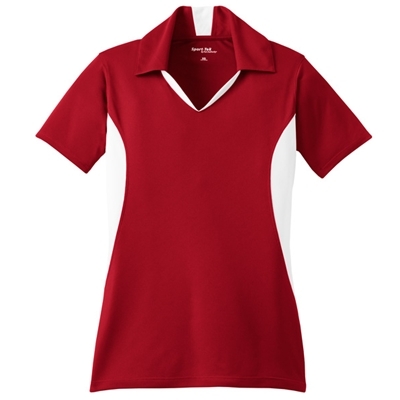 3.8-ounce, 100% snag resistant polyester tricot.